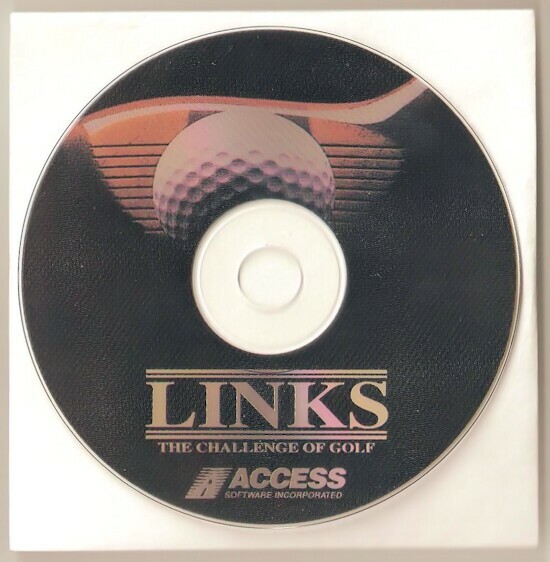 Links redefined what golf on the PC should look and play like; it migrated golf from a game to a simulation. 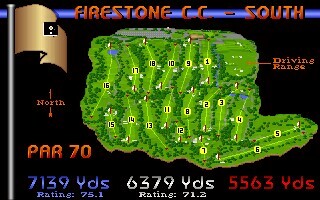 Good use of 256 VGA made for a realistic course with trees, water, sandtraps, and the fairway. 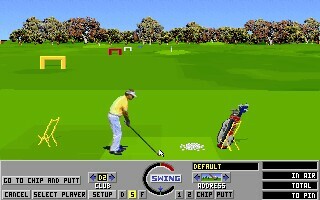 The addition of mulligans, changing the lie of the ball, real digitized environmental sounds (even through the PC speaker), and the ability to view a replay (even from multiple angles) gave PC golf games a new echelon of quality to match and catapulted Links to the top of golf simulations for a long time and started a franchise for Access. Concepts now taken for granted in modern golf simulations trace their roots to Links. This game was an order of magnitude of improvement over earlier attempts such as Mean 18. Access was one of the first companies to release only 256-VGA games, and their titles survive to this day because of it. 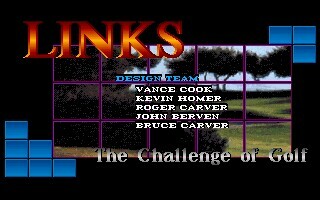 Links used a three-dimensional environment to enhance the simulation. Once on the green you could actually check the break! The entire look is 3D with multiple slopes. A non-obtrusive grid will help you get the correct read. 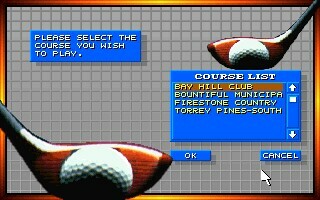 This, and other features, made Links the first true golf simulator and was a quantum leap ahead of any computer golf game ever seen at the time.